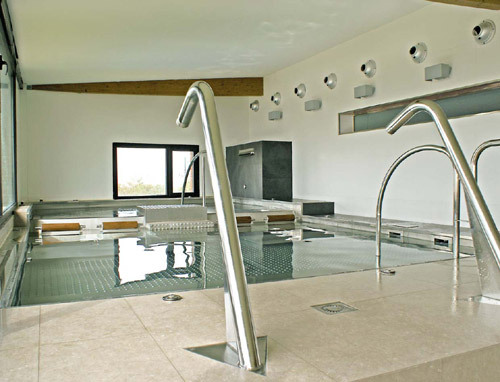 Stainless steel is the ideal material for constructing and renovating swimming pools, when compared to both the very latest and the most traditional methods. Its physical and mechanical characteristics make this the perfect material for use in even the most adverse of conditions. Steel alloy is a truly exceptional, inalterable material, with a thin protective layer of enriched chrome-containing oxide and nickel which protects the metal against corrosive elements. In small quantities, chromium improves resistance to damp, whilst the molybdenum increases resistance in the most aggressive circumstances. 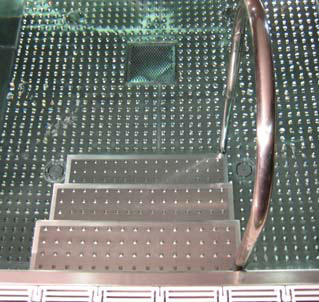 The Welma inox zone offer you the chance to reline or modernise your pool using top of the range Stainless Steel. 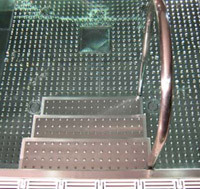 We can also custom manufacture a complete pool to measure, with the size and shape that best suits you. Concrete pools weigh approximately 30 times more than Stainless Steel pools of the same size. 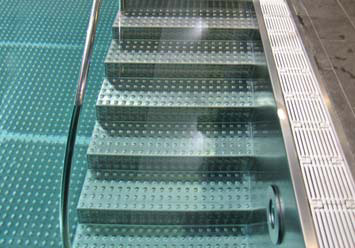 Defects in concrete pools can also lead to cracks, whilst Stainless Steel pools are elastic by nature. 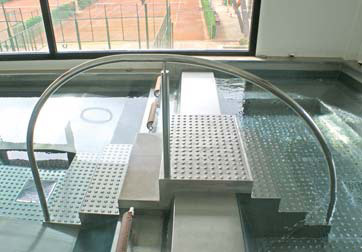 It is not affected by changes in temperature and, thanks to the large Stainless Steel sheets we use, welded together using materials of the very highest quality, ensures that watertightness of the pool basin is guaranteed. 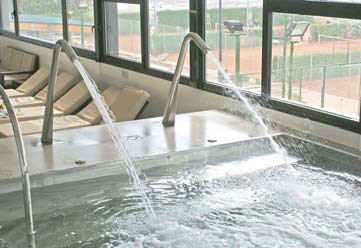 Stainless steel pools require virtually no maintenance: owners only need to clean the drainage channel and vacuum clean the pool bottom. 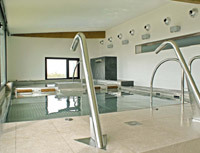 The cleaning of the drainage channel is identical for both types of pool, whilst the time required in order to vacuum clean the pool bottom is reduced by half thanks to the type of pool drains we use. High quality AISI-316L Stainless Steel, satin finish, with a sheet thickness of 2.5 mm. Textured spa bottom resting on a reinforced level surface. All pieces are laser cut and feature a special joint system. Inert argon TIG welded joints. All surfaces descaled and passivated.